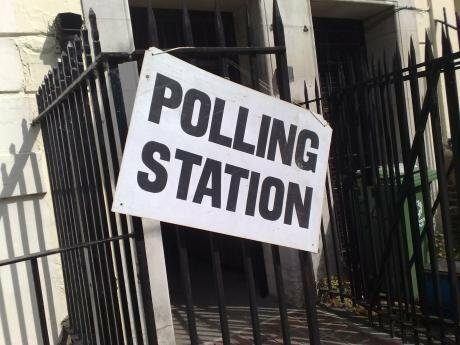 Why isn't the full electoral registration process online? People are being turned away at polling stations because the electoral registration process is stuck in the 20th century. In many ways people in Britain live online. In 2015 it was estimated that the average adult internet user spends over 20 hours a week connected to the web. With such a high level of internet use it seems obvious that the government should make public services more readily available online. The government’s own strategy from 2017 to 2020 argued that ‘by harnessing digital to build and deliver services, the government can transform the relationship between citizen and state’. But such a promise risks being left unfulfilled if ministers don’t step up their efforts. One area where the government has previously made major progress is to make electoral registration available online. Alongside the introduction of individual electoral registration, the provision of an online system, forthcoming research shows, did much to reduce the anticipated decline in electoral registration rates alongside voter registration drives. The Victorian electoral machinery saw a major transformation. There has been huge uptake of this platform. Online registrations outnumber old-fashioned paper registrations by two to one. But the process remains incomplete. You can’t check whether you are already registered. Instead, you must phone up your local electoral official and ask them. This antiquated system is out of touch with 21st century life styles of most people who may only get the time to register in the evening, when the electoral official has left the office. It is a problem for the voter and democratic process because an estimated 8 million people are incorrectly registered. It is another incentive not to register. Voters turn up at polling stations, thinking that they are registered, but are commonly turned away and denied their right to vote. It is also a problem for those administering the system. If you are unsure whether they are registered or not and your local authority isn’t answering the phone, it makes sense just to register again, just in case. As a result, electoral officials are bombarded with many duplicate applications. Research has shown that this puts a great strain on electoral officials during peak times adding to their personal stress. The strain of the applications were so great that, as the registration deadline for the EU referendum approached, the website crashed. A report from the All-Party Parliamentary Group on the Missing Millions called for an online electoral registration checking tool last year. Such a system is available in other countries including Canada and Ireland. It gives people an easy way to determine their status and take complete ownership of electoral registration process. This is a win-win reform. A modern electoral registration system must ensure convenience for the voter so that they can participate in crucial forthcoming contests. It must also be efficient for electoral services who are often resource strapped. Electoral registration information is freely available to the private sector with sufficient funds to buy it. It is time to give control of it back to people too.